A well-known cultural activist and writer Mr. Habeeb Rahman is going back to his motherland from Kuwait end of March 2019. His first Malayalam Novel "Thanee Thedi Nadanna Oruval" (The Soul Searching Girl) released in 2012 was a variety in its kind. The craft and language used in this book is remarkable. As a philanthropist, columnist, Literary Journalist, writer and cultural activist, his track record is highly influential in the community. Mr. Habeeb Rahman (Habeeb Sahyadri) has been in Kuwait since November 1992. He has been working in the forefront with Kerala Art Lovers Association known as “KALA KUWAIT” a socio-cultural organization, which is the oldest secular organization among the Gulf Indians. Even while holding leadership responsibilities of KALA, Habeeb used to interact with other Malayalee Organizations in Kuwait with his ideas and secular talks. He observes the socio-political situations around the world especially in our motherland. In public events with the community, his socio-cultural stands are communicated wisely. While bearing the assignments as Literary Secretary of KALA at several instances, and in the midst of a busy expatriate life, Habeeb continued his writing with more enthusiasm and affection. He has written several articles on various subjects prominently on current affairs and relevant discussions on popular newspapers like Kuwait Times and other Malayalam dailies. Habeeb is one of the best writers in the Malayalee community in Kuwait. He published a Novel and a Short stories collection known as “ Arum Samshekkatha Chilar”(Suspected by None). From my literary experience in Kuwait, he is a resourced personality for me and many of my colleagues. My second book “ Athijeevanathinte Kazchapadukal” published by Pratibha Publishers, Kerala was edited by him. He was a Columnist in Kuwait Times Malayalam section for a long time. His literary journalism was notable among the Malayalam literature lovers. His first literary venture was a story and a skit broadcast in the “Yuvavani Program” of All India Radio. Presently he is working for his first English Novel, A TOP THE GHATS”, planning to publish in September 2019 in Bangalore. Habeeb is working with a prominent company in the Middle East M/s. Kuwait United Diary Co. as Accounts Manager. He did his schooling in Kannur and higher studies from Bangalore. He hails from Karivellur (Kannur District, Keralam.) a small town where the historical resistance struggle against the British and the landlords took place along with “Kayyur” and “Vayalar “uprisings. Habeeb was born in 1954, as the son of late Mr. C.H. Abdu who was serving in Malabar Special Police and mother late Ummukulsu. His wife is Nabeesa and he has three children, two daughters and a son. All are married and are residing out of Kerala. Best of luck in all your endeavors. We are forever grateful for your contribution towards the community in Kuwait. Wish him a happy time back in homeland and hope he can more actively focus in his creative works without any official burden. My sincere thanks to INDIANSINKUWAIT and writer Sam Painummud, for publishing an article on me. 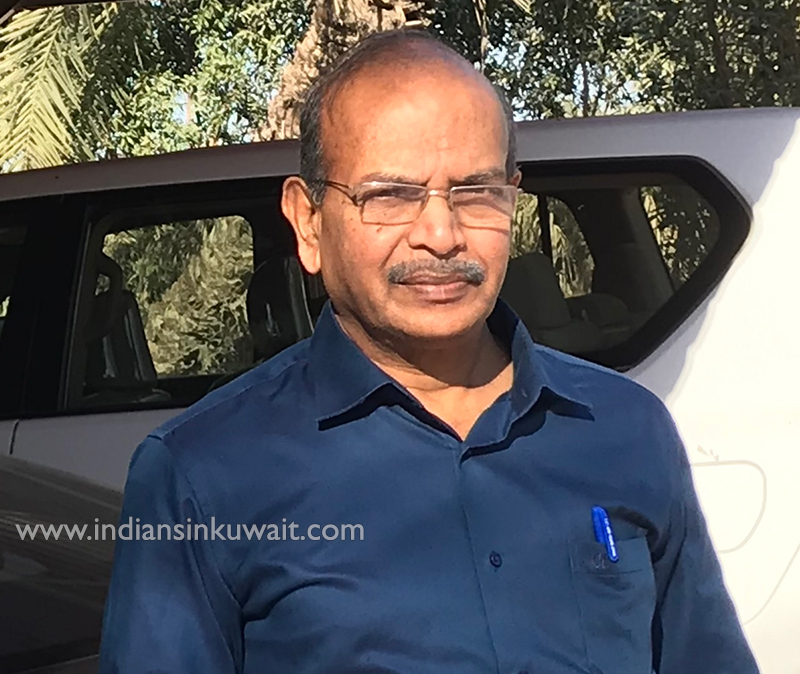 Since inception, indiansinkuwait has been doing a great media service to the community in Kuwait. To gather and publish news regularly and reliably is a commendable work, especially at a time when many resourceful news establishments of Kuwait have started signing off. Another notable part of your popular service is the Classified columns which is free to whoever needs it! As such indiansinkuwait rightly had the silent blessings of its readers; I am sure it will be so in the future too. Best wishes.